What Am I Worth? is directed by Claire Hodgson and Billy Alwen, written by Hattie Naylor, with a brand new score composed by Ted Barnes. 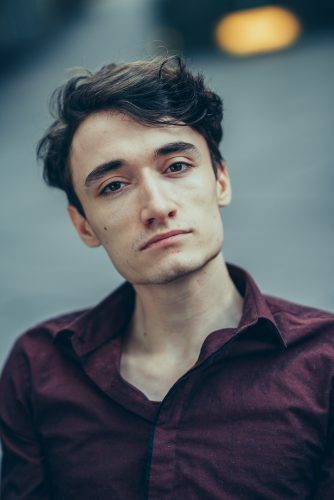 Made up of seven extraordinary cast members from across the world, including the US, Germany, Ireland and the UK, What am I Worth? shines a light on stories and identities that are first in the firing line when there is not enough to go round. Click on the people below to find out more. This is David, tall, black, handsome, male, strong, impressive, Deaf. This is John, white, short dark hair, with a curl. Eyes that flicker blue, belted into a wheelchair, his hands, turned away, delicate. This is Alfa, thin, mixed-race, muscular, small, limbs as fluid as running water. Alfa Marks is a highly skilled circus artist who has performed across the globe specialising in solo aerial rope. 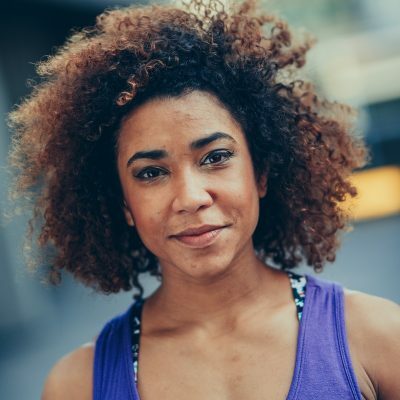 With a background in contemporary dance, Alfa started her circus career as an apprentice with Gerry Cottle’s Circus and has since performed for companies such as No Fit State, Upswing, Cirque Bijou and Incandecense. This is Amelia, small, white, a bob with pink ends. Blind. She spies the future with vivid choice. 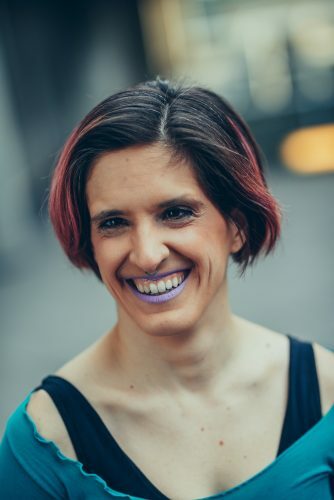 Amelia Cavallo is an American born, blind performer who first came to the UK to study at the Royal Central School of Speech and Drama in London. Working across multiple performance disciplines including acting, music, circus and dance, her most enjoyable professional achievements have been performing as an aerialist as part of the Paralympic Opening Ceremony, as well as creating her own outdoor pieces I Breathe and Sailing Through the Dark. 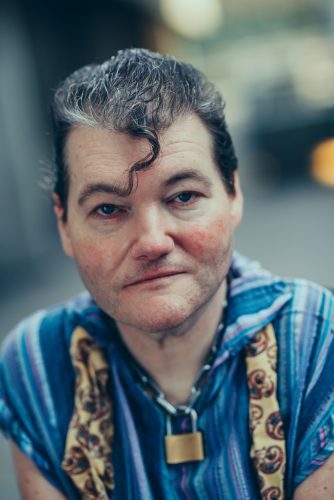 This is Dergin, dark curly hair tied back, masculine, focused, in a wheelchair, deep dark eyes. Turkish. German. 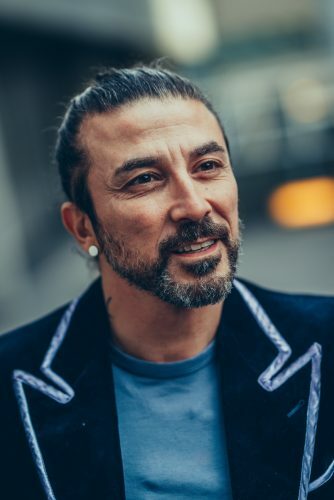 Dergin Tokmak is a highly accomplished German acrobat and dancer on crutches, who not only made it to the finals of Germany’s Got Talent, but has also toured the world with Cirque Du Soliel. Now, as a member of Extraordinary Bodies, he has achieved a new dream of working alongside other disabled artists on stage. This is Aislinn, slender, white, female, unknowable strength. Blue eyes and long brown hair. 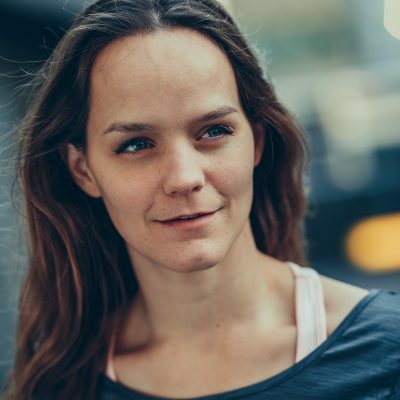 Aislinn Mulligan is a performer, writer and producer specialising in aerial circus. 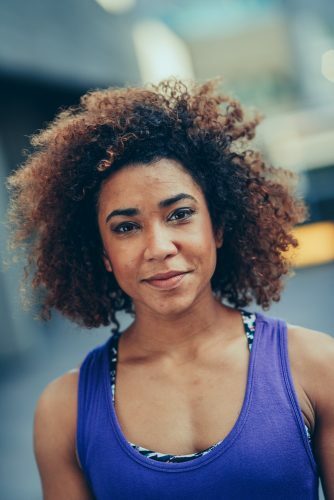 She trained at Northwestern University and with Steppenwolf Theatre in Chicago, and has worked all over the world on a variety of Theatre, Circus, Film, Fashion, Dance and Photography projects. In 2014 Aislinn co-founded international performance collective Circumference, and in 2015 joined Extraordinary Bodies as part of Weighting. 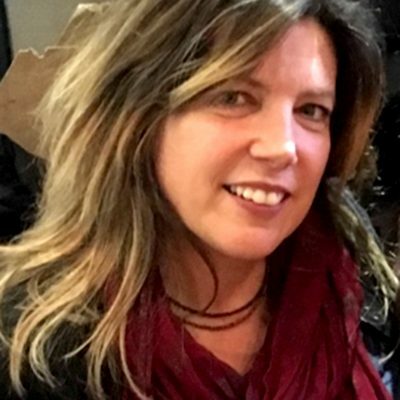 She is now also Associate Director of Extraordinary Bodies. And this is Johnny, muscular, white, large brown eyes, thick eyelashes, tall. Wheelchair. 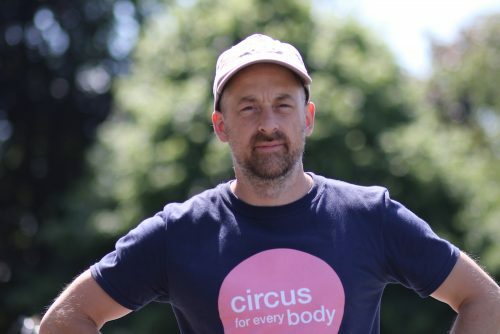 Jonny Leitch is an extraordinary disabled drummer, who drums, performs and composes for circus and theatre shows. 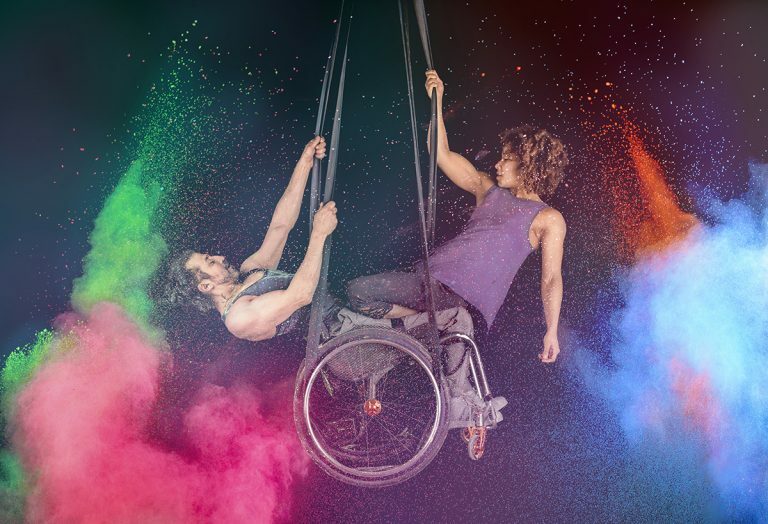 He has worked for companies such as Graeae, Cirque Bijou and Diverse City, so it was only natural that he would be cast for the new Extraordinary Bodies show. 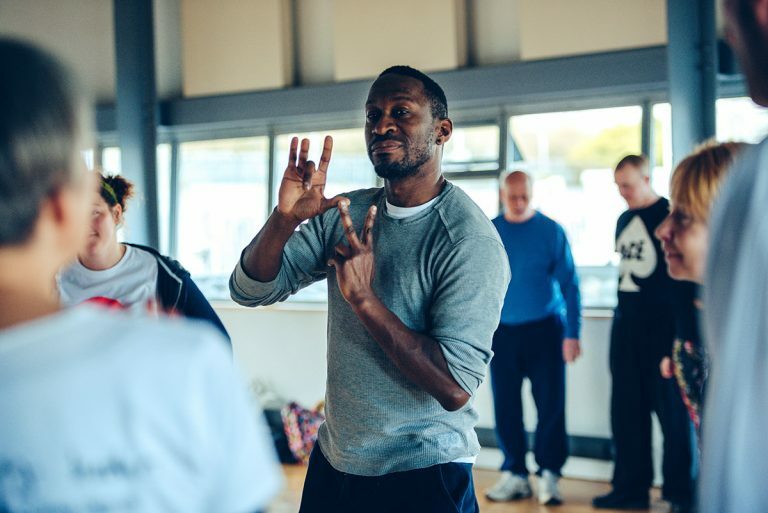 Since being a member of the company he has expanded his practice into dance and movement, both in and out of his wheelchair. 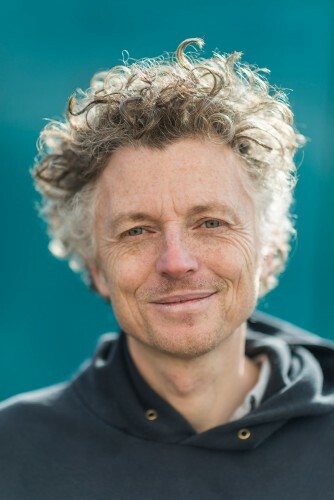 Billy Alwen is co-founder and Artistic Director of Cirque Bijou, a leader in the field of innovative outdoor arts, circus and street theatre. 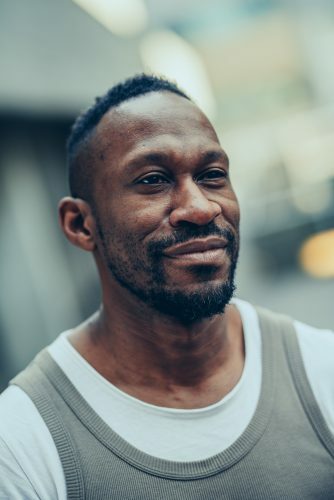 After a career in politics and public relations, Billy started his circus life as an aerialist, performing all over the world and forming Cirque Bijou in 1999 with Julian Bracey. Since then Cirque Bijou have made thousands of shows across the globe for audiences of 50 to 50,000. In 2012 they made Battle for the Winds to launch the London 2012 Olympic Sailing events in Weymouth, which brought Cirque Bijou into partnership with Diverse City for the first time. 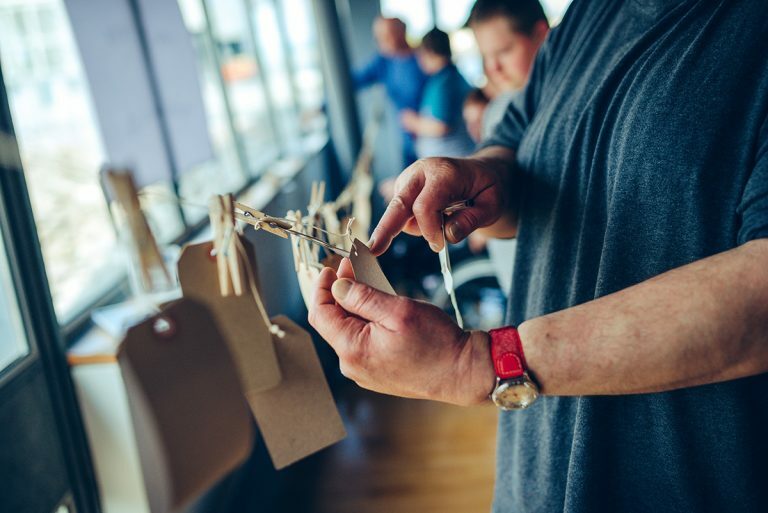 A year later, the first Extraordinary Bodies show, Weighting, was made with an exceptional company of disabled and non-disabled artists. 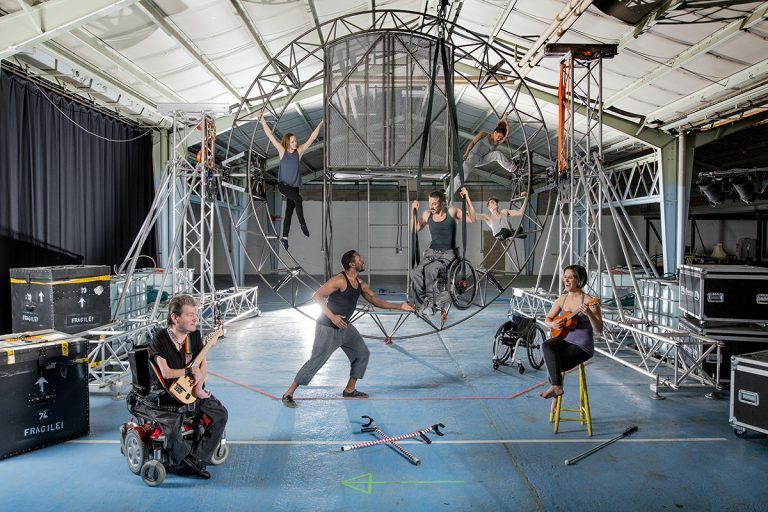 Since that first commission in 2013 Extraordinary Bodies has grown and developed into a national and international circus project, working with the National Theatre, Bristol Old Vic, and Circus Oz in Melbourne. 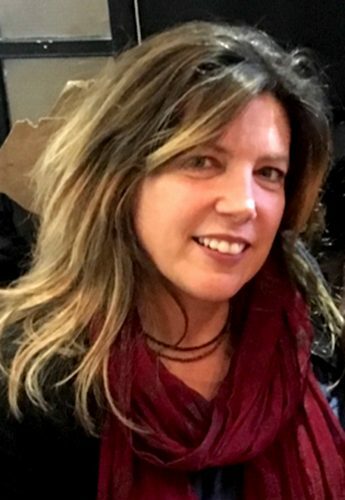 Claire Hodgson is a theatre/dance director and artist. 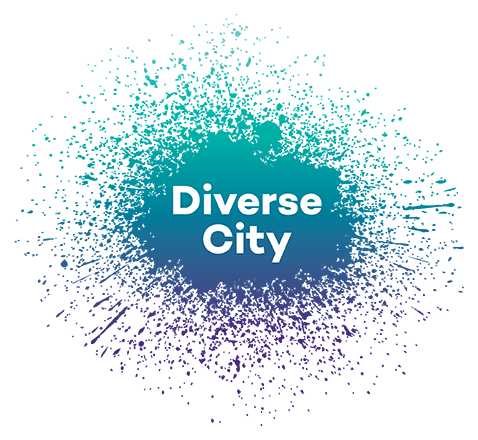 Claire is founder and Chief Executive of Diverse City. 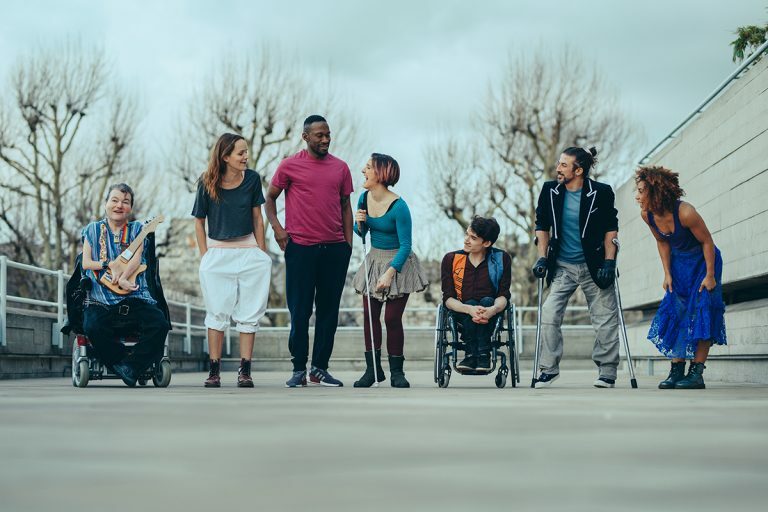 In 2012 Diverse City created Breathe an international project that brought together 64 young disabled people to perform at the opening celebrations of the Olympic sailing events, to an audience of 10,000. After the Olympics Claire co-created Extraordinary Bodies with Billy Alwen, Cirque Bijou. 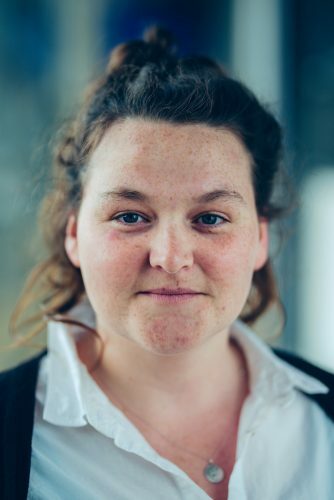 Claire was a Clore Fellow in 2012 and writes for The Guardian online. 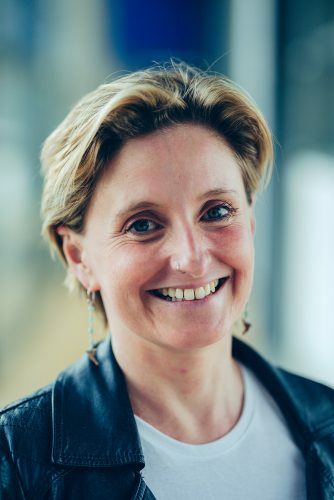 She is the former head of Performing Arts at London Metropolitan University and was awarded an MBE in the New Year’s Honours list 2016 for services to inclusion in the performing arts. Together with Jamie Beddard, Claire won the Clore Duffield 50th Anniversary prize, which was used to tour Extraordinary Bodies Weighting in 2015/16. Hattie Naylor is an award-winning dramatist, and writer of Extraordinary Bodies’ 2015-16 tour of Weighting. Other credits include Ivan And The Dogs, The Night Watch, Going Dark, As the Crow Flies, and Bluebeard. 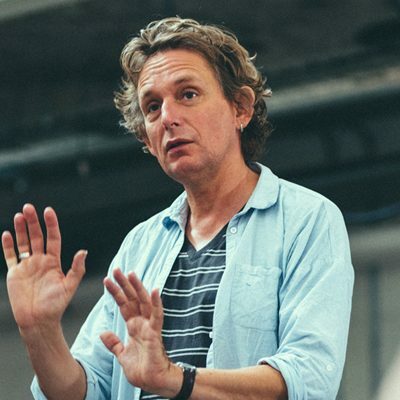 Ivan and the Dogs (Soho Theatre and ATC) was nominated in the Olivier Awards for Outstanding Achievement in Theatre, won the Tinniswood Award in 2010, and has been internationally acclaimed. Her work as a librettist includes Picard in Spacewith Will Gregory (Goldfrapp) directed by Jude Kelly, for the Electronica Festival at the Southbank 2012. 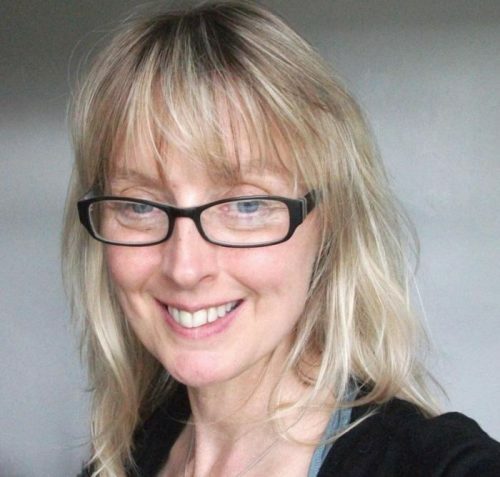 She has also written extensively for BBC Radio 4 and teaches scriptwriting and Sheffield Hallam University. As well as working on What am I Worth? other current projects include Yana and the Yeti with Pickled Image and As the Crow Flies, Pentabus and Salisbury Playhouse. 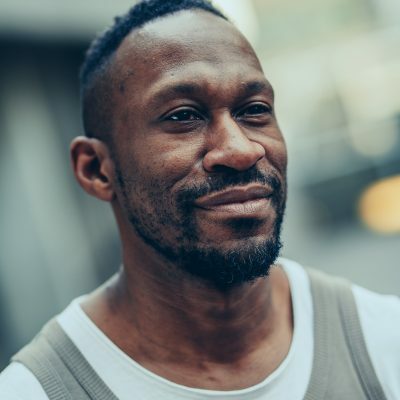 Ted Barnes is multi-instrumentalist, composer and performer best known for his work with Beth Orton. He has also formed the band Clayhill and released three solo albums. 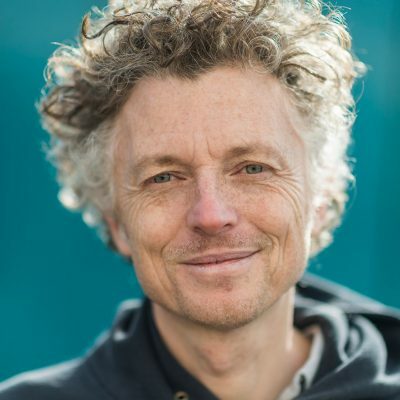 Ted now writes for film, theatre, circus and dance, whilst continuing to work with songwriters. 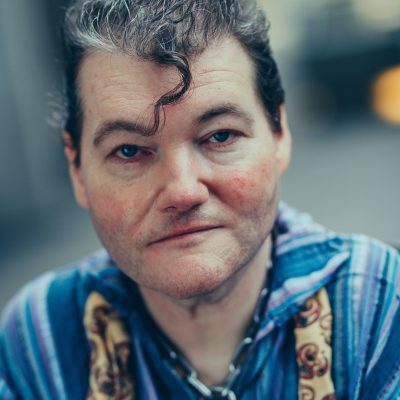 Ted has been part of Extraordinary Bodies from the beginning, he co-wrote the music and performed in the first Extraordinary Bodies show Weighting, alongside Dom Coyote. Together they found a way of fusing their two worlds of musical language, and this became integral to the development of the show. 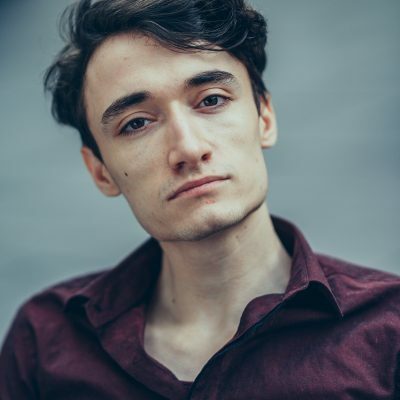 This time Ted is composing alone and the process demands that he immerses himself fully in the development of the show, the cast and the crew in order to write. 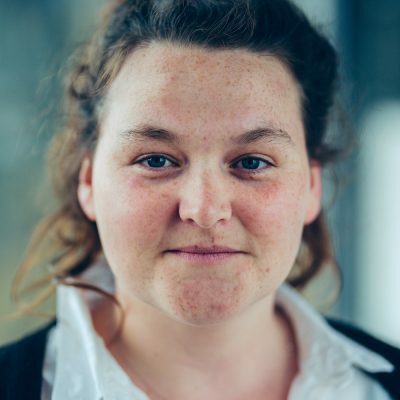 Jo Paul is an artist and a scenographer for theatre and dance, she has an MA in Scenography from Trinity Laban Conservatoire. Her art work has been exhibited all over the UK in various galleries and her designs for theatre and dance have been seen in shows from Edinburgh Fringe to the Royal Opera House. 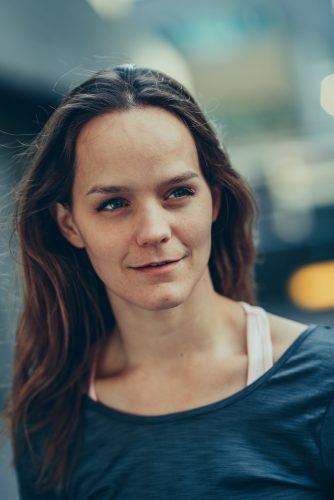 She has worked with Candoco, Graeae, Fingersmiths, Spare Tyre Theatre Co, Shed Films (‘Cabbage’ – Bafta Nominated Short Film) and East London Dance, to name a few. As well as designing the costumes for What Am I Worth? working alongside costume seamstress Jacqui Livingston at Jellyfish Arts, current projects include a Europe wide programme of work exploring the digital in theatre with Emergency Exit Arts and a number of European Theatre Companies, a book chapter contributing to a publication looking at Art and the Maternal and a personal exhibition investigating the Collar and Status. 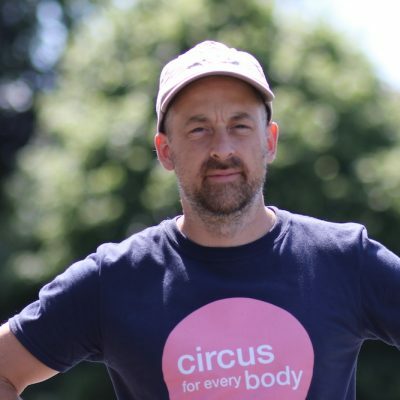 Will has created numerous performance structures for Cirque Bijou including Vera, a human powered travelling machine for Battle for the Winds celebrating the 2012 Olympic sailing events in Weymouth. 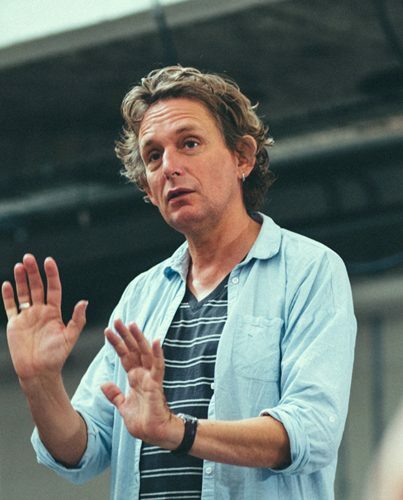 He also created the rotating centrepiece known as ‘The Bridge’ for the first Extraordinary Bodies show Weighting, and has designed and built the exciting, transformative set known as ‘Rose’ for our new show What Am I Worth?. 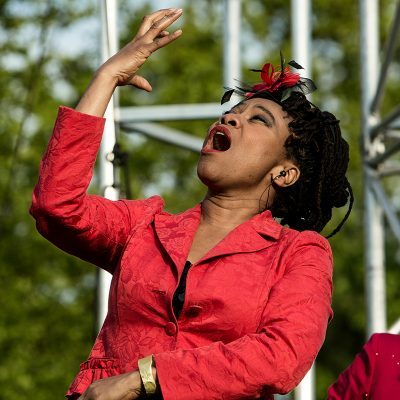 Jacqui Beckford has worked extensively as a British Sign Language translator/interpreter in Disability theatre and the arts. 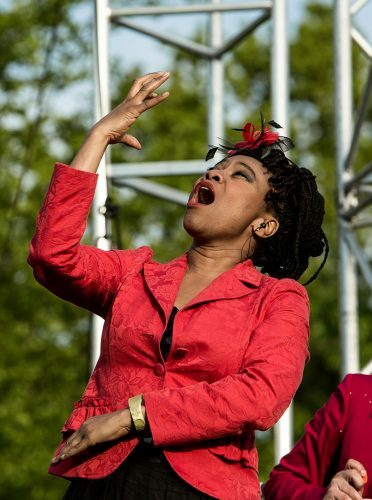 In the late 1990’s she toured nationally in three productions with Graeae Theatre Company as an Interpreter/performer. 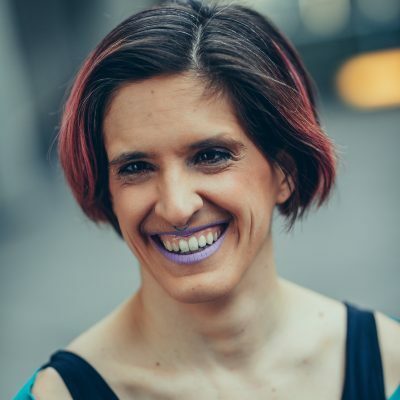 To date Jacqui is a freelance BSL interpreter working across many domains from the arts (theatres/museums/galleries] television broadcast (BBC news 24, Cbeebies, CBBC & other channels), film, medical, mental health and legal. 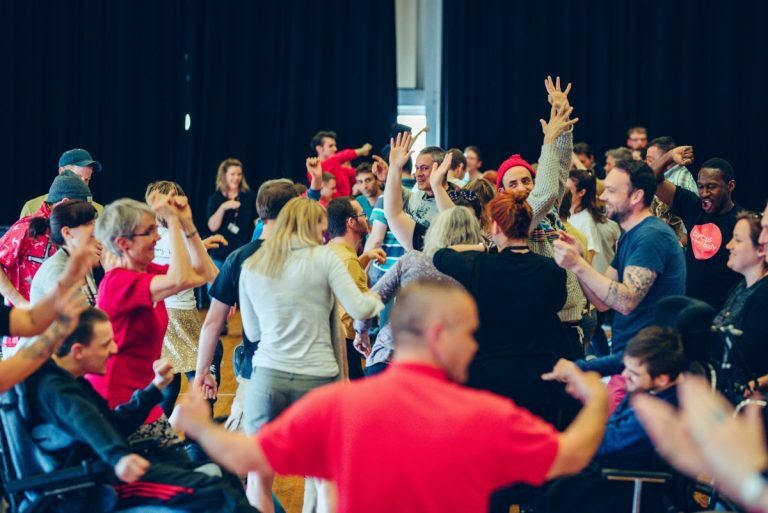 Jacqui worked with Extraordinary Bodies as part of the Weighting 2015 tour performing on stage as a creative BSL interpreter. 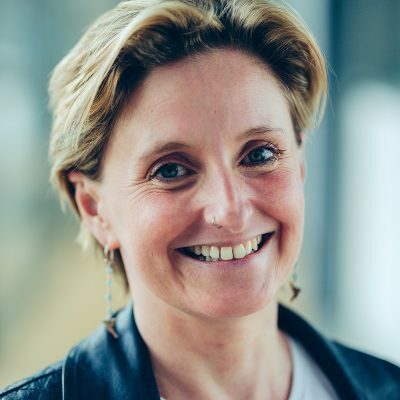 Jacqui is a member of The National Registers of Communication Professionals working with Deaf and Deafblind people and the Association of Sign Language Interpreters and Equity.